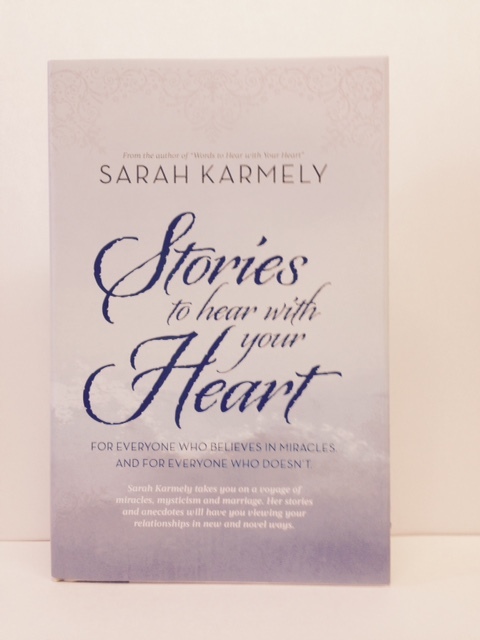 Stories To Hear With Your Heart, by Sarah Karmely is a second journal of Jewish inspiration for your marriage, your soul and your life by the internationally renowned speaker who for over 20 years, has touched the hearts and lives of thousands of Jewish singles and couples. Her heartfelt, motivational talks on love and relationships and her expertise and sensitivity in family-values counseling, have communicated traditional marriage ideals to packed houses and have endeared her to audiences around the world. Sarah is also the beloved writer of Words to Hear With Your Heart, her regular column in the respected N'shei Chabad Newsletter and mentor and counselor to hundreds. Hardcover.